UPDATE: Following the G-20 Summit, the US and China have agreed to postpone the tariff increase (from 10% to 25%) for 90 days. The tariffs were set to increase on January 1st for over $200 billion in Chinese goods. It seems you can’t turn on the news these days without hearing the increasing hysteria surrounding the United States and China trade war. Politics aside, it’s a very real concern for sellers. It’s important to follow the ongoing battle to understand how it might effect your business down the road. This dispute over duties, however, could take a decade or more to resolve. This could be our new normal, for now. The important thing to remember is that this is affecting every pillar of the retail industry. From the heaviest hitters, down to Amazon FBA sellers, no one is immune to the 10-25% increase in duty rates. Walmart, Amazon’s biggest direct competitor, has to raise the cost of their goods to help absorb some of that cost, just like everyone else. For the most part though, it means the consumer is left to shoulder the burden. They’re the ones paying the higher prices. Or, in some cases, the retailer/seller will choose to carry the extra cost themselves, shrinking their profit margin. Neither option is ideal, which is why we’re going to address the top concerns for Amazon sellers here, along with a few alternative options. A tariff is a tax on imported goods. It is paid by the importer, and never by the exporting country. Renegotiating with your supplier should be your first order of business; and finding common ground is bound to be more difficult this time around. But, if you’ve built up a trusting relationship with your supplier, they will likely meet you halfway. Suppliers want to continue maintaining their relationships. They don’t want them to end over increased tariffs. When you re-open negotiations, make sure you have a realistic plan that allows both you and your supplier to meet your margins. If you can draft a new agreement that benefits both parties, that would be a huge win. One competitor decides to price up, to increase their margins. Other sellers generally follow suit, in an effort to stay one step ahead of everyone else. Then a competitor raises their price a second time, and the process starts all over again. In an ideal world, sellers offering the same product would band together and agree on price increases, stabilizing sales. But that type of cooperation is a rarity. Here at Jungle Scout, some of our Amazon sellers are already experiencing the pressure to raise their product prices due to this trade war. Are there areas you can improve? Since your launch, have your customers indicated ways to enhance your product? Go back to the first time you calculated a budget during your research phase. Adjust your ACoS spend (advertising cost of sales) and see where you can scale back operational costs. Plus, remember you can (and probably should) discuss your options with your supplier. It’s up to you to decide whether your business or your customer will absorb the bulk of the increase in cost to import your product(s). With an increase in tariffs, you can expect to have to pay extra taxes to get your product out of port. In fact, you’ll likely see increased freight costs in general. The degree to which your product(s) might be affected depends on their HTS code (Harmonized Tariff Schedule). An HTS code is assigned to your product during the manufacturing phase, and is a 10-digit import classification system.. Similarly, an HS code (Harmonized System) is a 6-digit code used globally for 98% of all trade. The additional 4-digits of an HTS code are specific to the United States. Our partners at Flexport advise that, “Outside of using our tool, your best bet would be to speak with your supplier to get your product HTS code. It can then be used here to see the applicable duties, if any. And keep in mind, only 3 rounds in a series of tariff announcements (at the time of this publication) have been announced. Continue to check the status of your HTS code to stay up-to-date on each round of announcements. If your product is, in fact, subject to the new tariffs, you do have a few options. Raise your price(s) to cover the extra costs. Absorb the costs and continue to sell at a lower margin of profit. In all of those scenarios, someone loses. But it’s not China! It’s the little guy who loses – the consumer or small business owner – who ends up taking the hit. But before you start to think your business is doomed, consider the following. Take a look outside of China. While we have always negotiated the best deals and business partnerships with China, they aren’t the only players in the manufacturing game. 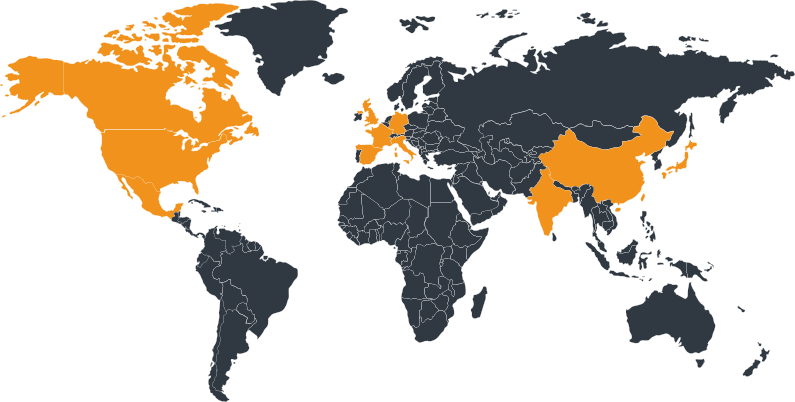 In the search for ‘snow shovels’, above, there are more than 20 countries that are optimal for sourcing that product. Once you search for the product you’re looking to source, you can select the drop-down box next to Supplier Selection. This feature will show you which countries are suitable to source your specific product. And Alibaba.com has done all of the legwork for you, providing the best countries for your specific product(s). Depending on the options for your particular product, you can research the pros and cons of each location. One of our team members, Amazon seller Ervin Ong, sees the benefits of looking elsewhere for manufacturers and is considering switching his supplier location. “I will potentially consider that if the economics make it work. If it came down to a difference of a few cents while providing myself a shorter lead time, I’d certainly do it. He makes a great case for the potential benefits of manufacturing a product closer to your marketplace of choice. But he’s still aware that it needs to make financial and economic sense to make the switch. If you choose to have your product American-made, that doesn’t necessarily mean all of the raw materials are produced in the US. So really, tariffs are still involved in many ways that will affect your manufacturing costs. Alternatively, you have the opportunity to expand your business into new marketplaces, potentially avoiding tariffs. Rather than dealing with import costs at US customs, consider selling on some of Amazon’s fastest-growing, global marketplaces. Amazon India is not only the fastest-growing global marketplace for Amazon over the last few years, but amazon.in is also the fastest-growing business in India. They’ve had the fastest adoption of Prime memberships that includes over 40 million products from third-party sellers. This is a huge growth opportunity for Amazon, which means it’s a huge opportunity for FBA sellers too. Amazon Australia is less than a year old, and Prime memberships have been around even less. Amazon.com.au is projected to have 50,000 FBA sellers by the end of 2018. This leaves a ton of room for new sellers. Additionally, Australia is in close proximity to Asian suppliers, and consumers are used to high-markups on prices. Amazon Japan is also on the upswing, and is now the third largest marketplace in the Amazon family. While sellers may want to master English-speaking marketplaces first, the Japanese marketplace is hot. Japanese consumers have very similar spending habits to North American consumers, which makes the transition even smoother. 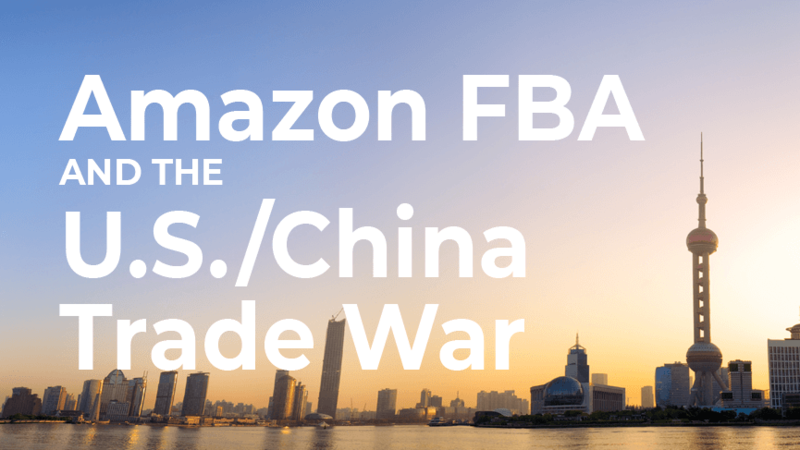 This is just a sample of Amazon’s global opportunities, and any FBA seller considering the expansion of their business outside the US market should do their due diligence. You’ll likely have to register your business in each country of operation in order to import your goods and register for taxes, and every country has their own tariff structure and trade agreements with China. Research and weigh the pros and cons of the operational costs before you move into new territories. Adapt. Amazon sellers are used to the ever-changing Amazon landscape, and whether it’s the frequent changes to their Terms of Service or the ebb and flow of sales velocity, we’ve learned to adapt. And the ability to adapt will serve you well when dealing with the new tariffs, or anything else Amazon throws your way in the future! We also continue to believe that China is still the best for manufacturing, which is why our first reaction is to reach out to our suppliers to re-negotiate. Ideally, you’ll continue to nurture those business relationships, but if you find yourself at a dead end, the options outlined above are worth exploring before throwing in the towel. You might be surprised to learn that the Chinese government has announced they will grant higher tax rebates to exporting manufacturers in order to support suppliers who are under pressure from the escalating trade war. This is most likely an attempt to give Chinese manufacturers a little more flexibility during the renegotiation process to maintain margins for themselves. If so, we’re optimistic about the future of our supplier partnerships. Establishing new agreements that work for both parties is looking more like a viable option now. If you’re currently experiencing issues due to the trade war, share your thoughts in the comments! This is good information to know. I am currently curious about selling on Amazon and the tariffs are a concern of mine. Thanks.